As part of the launch you will be shown how to access free online guides for Languages teaching resources, provided with a presentation of support materials and given opportunities to network. Refreshment is provided. Photographs from the project resources. Courtesy SLWA. Is it all possible that a similar event could happen in rural libraries for language centres further afield? Hi Nicki. The MLTAWA didn’t organise this event but I will forward on your inquiry to the organizers from the State Library of WA. 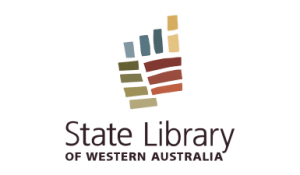 The Heritage Collection that was showcased last Thursday is all digitalised so anyone can access it via the SLWA website (Languages section). Also we were able to peruse the amazing collection of community language resources at the library. But these can be loans through any of the suburban and regional libraries if you are a member. You should hear from someone from the SLWA soon!